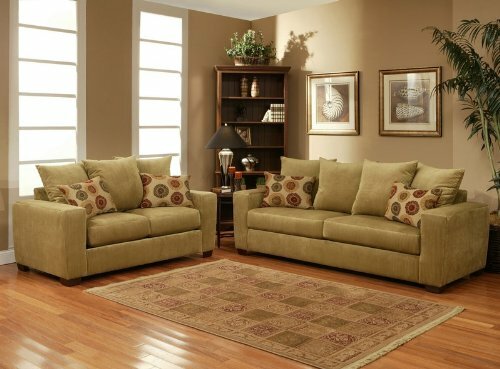 Buy cheap Benchley 2pc Sofa Loveseat Set Multi Throw Pillow Back in Light Taupe Color (VF_BCL-VENEZIA). 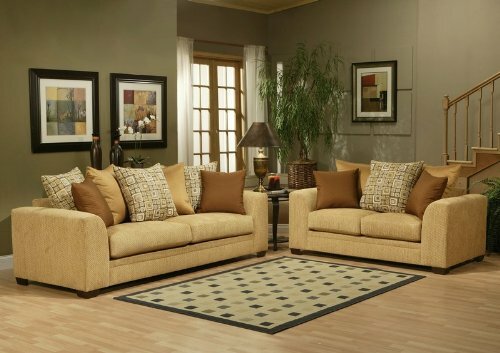 This fascinating Sofas & Loveseats will suit your rooms. 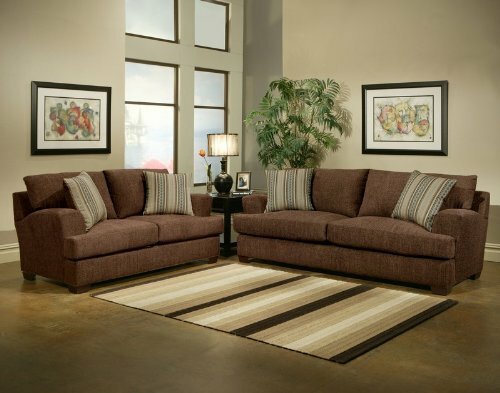 Buy and save your Benchley 2pc Sofa Loveseat Set Multi Throw Pillow Back in Light Taupe Color (VF_BCL-VENEZIA) today. 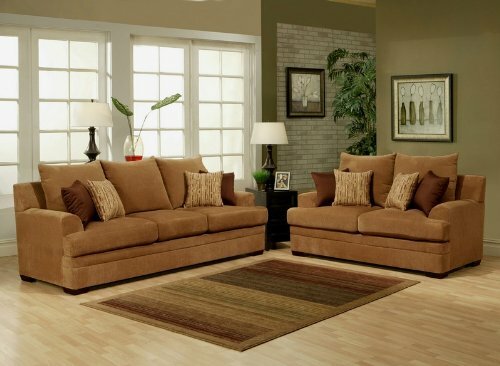 You will receive a total of 1 sofa and 1 loveseat. 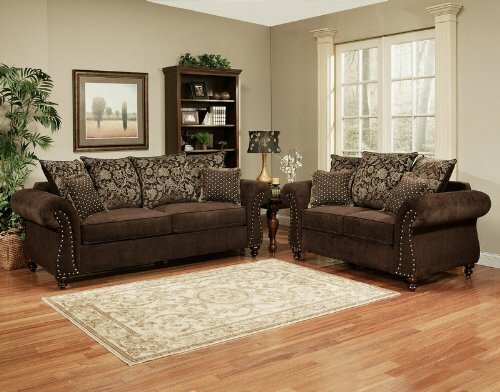 Elegance and charming, this sofa set will bring your home style. 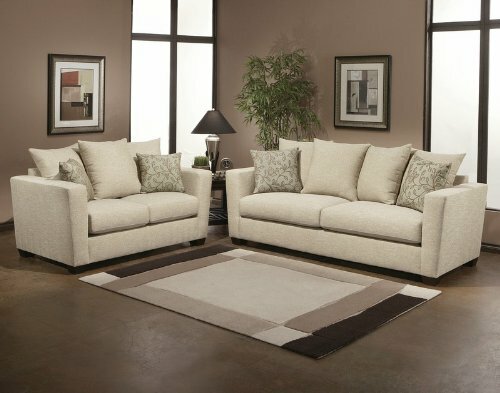 This beautiful sofa set is upholstered in light taupe color fabric. 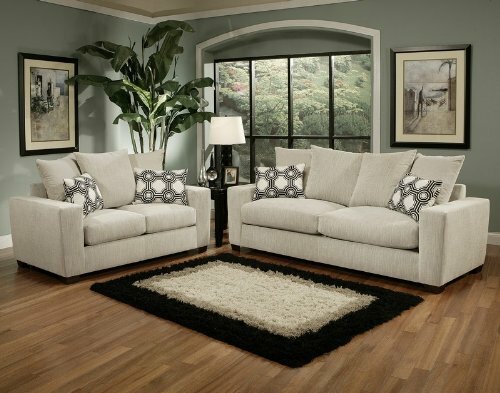 Designed with rolled arm and sturdy tapered legs. 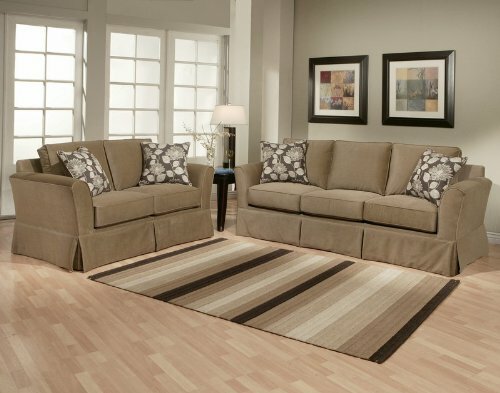 Item comes with multi throw pillow back in light taupe and sage brown. 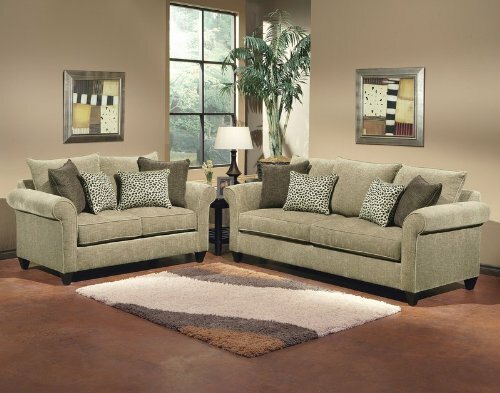 With 2 rectangular leopard patterned accent pillows. Seat cushion uses Reflex* Core 30 Foam. Reflex* outperforms conventional foam cushioning by a wide margin in both firmness retention and resiliency. Item is crafted with pride in the USA!